Best Grasses for North Texas - Tips on Improving Your Lawn-Scape! The North Texas climate and soil have a lot to do with the success of your lawn. There are a handful of best grasses, but it’s important to realize that your lawn will only be as healthy as your soil. You also need to factor in the growing conditions of your location. Let’s start with conditions and then run through the choices for grass type. Typical North Texas soil is a mixture of clay and caliche rock. That means no real nutritional elements that will feed your lawn. Most folks throw down grass seed with very minimal preparation and no amendments. Just like other growing organisms, grass needs to be fed. Even if you remove the existing grass to lay down sod, if you don’t prep the soil you will still have the same hard clay as the foundation. When going through the effort of cutting out the lawn, take your work a step further to ensure success. It is recommended to also remove a 3” layer of clay and replace it with a mix of sand, compost, humate and zeolite. Another acceptable technique for feeding the soil is to aerate and top dress the existing lawn with about a half inch of good organic amendments. This kind of top dressing every two years – along with a solid fertilizing regime – will also help you achieve a lush green lawn. The amount of sun your lawn receives will determine the type of grass you grow. It is important to know how much direct sun each area of your lawn receives. Large trees are the most common reason for shade in the yard. The canopy of the tree and the direction of the sun will determine the amount of light received. You can remove lower branches of the tree to allow more light in or you can choose to mulch a portion of the area under the tree and leave it grass free. Side lawns are typically deficient in sun either because of shadows from the house or because homes are built so close together. You can try a shade tolerant grass in these areas or turn this part of the yard into a shade garden growing colorful flowers and shrubs. Tall fences also will cast a deep swatch of shade so if you want to take your lawn to the fence line, pick the right grass seed. Or, like between houses, you can create a bed along the fence and use that area to create more dimension and interest in the landscaping. In the dry North Texas climate it doesn’t seem possible to over water your yard, but if the lawn does not drain well and you water regularly this can become an issue. It is especially important to make sure shaded areas – like between houses – are not holding too much water. Green mold can often be found in moist areas along the house foundation or fence lines where moisture builds up. A rule of thumb is that your lawn should receive 1” of water every week. If Mother Nature does not provide the H20, then you need to bring out the sprinkler or install an irrigation system. If the grass is not watered deeply, it will develop a shallow root system which is highly susceptible to disease. Sadly there is not one perfect grass. Each variety of turf has specific traits and you will need to determine the best type for your growing conditions. This means that you may be using two or more types around different areas of your lawn. The most widely planted grass in North Texas is either Common Bermuda or Tifway 419 Bermuda. Both of these turfs are resistant to drought and they will offer excellent wear to foot traffic. The 419 is a thinner blade and does not seem to hold up in triple digit temps. On the plus side, it starts greening up quicker in the spring. These varieties require over six hours of sun daily. The species Celebration Bermuda Grass is extremely drought resistant and has a lovely dark blue/green color. It will need less mowing and has a deep root system that offers terrific sod strength. Raleigh is the most common variety of St. Augustine for North Texas. It performs well in heavy clay soil. It needs about four hours of sun and will do well in partial shade conditions. Palmetto is thought to be more cold tolerant and has a lovely emerald color. Like Raleigh, it will work in full sun or partial shade. Palisades has a slightly coarse texture and tolerates both heat and cold. It will also do well in shady areas. 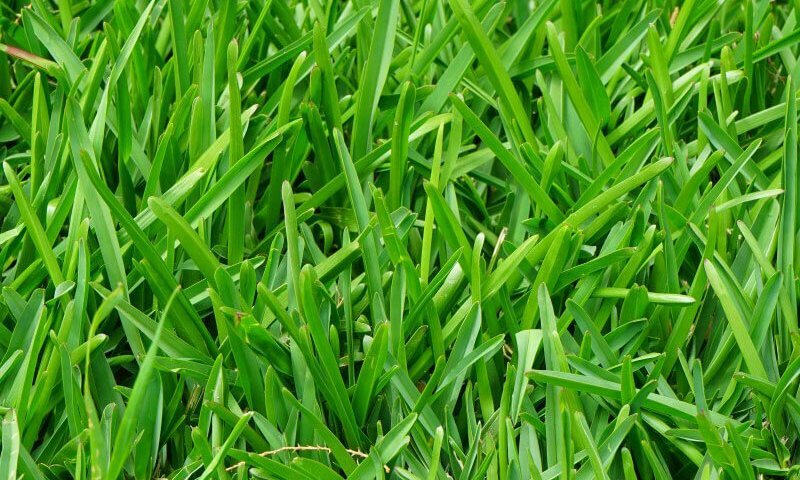 This variety is one of the most drought tolerant grasses for North Texas lawns and it offers a very thick turf that helps eliminate invading weeds. While Fescue can be a solid choice, it prefers a cooler climate and tends to wilt in the middle of summer. Fescues will return to a lovely green in the fall but might require more seed sowing for the first couple of years to ensure a thick lawn. This species will stay relatively green year around; they do not go dormant. Unfortunately there is not one perfect grass, each variety will have pros and cons. Every lawn will offer its own set of challenges. Hopefully this guide will direct you to the best choice for your circumstances. And always keep in mind that the health of your soil will determine your success no matter which grass you choose. If you feel like to you need more advice and direction, contact a professional landscaping company to help evaluate your best options.